Sydney Shop Girl: The Long Weekend Begins. And my long weekend has officially begun. The work yellow highlighter has been capped and zipped into the side pocket of my work bag and my phone's on silent. The next skinny cap with a sneaky pastry I have this weekend will be savoured in the absence of pen and paper. I've just driven home with the warmth of the sun on my face. And eaten a massive bowl of mum's nourishing vegetable soup. Might get started on the housework next, or I might do it tomorrow. Don't you love that about the Sunday of a long weekend? What I have done though is almost talked myself out of getting this leather skirt from the Witchery sale. Mainly because I don't see myself going bare legged with open toed heels this winter whilst wearing it. Toddler SSG's favourite local cafe won't be open for breakfast tomorrow morning, so it's just as well our he can make himself a mean babycino with our Aldi milk frother. Twitter has proven to be an excellent distraction from that Witchery skirt. 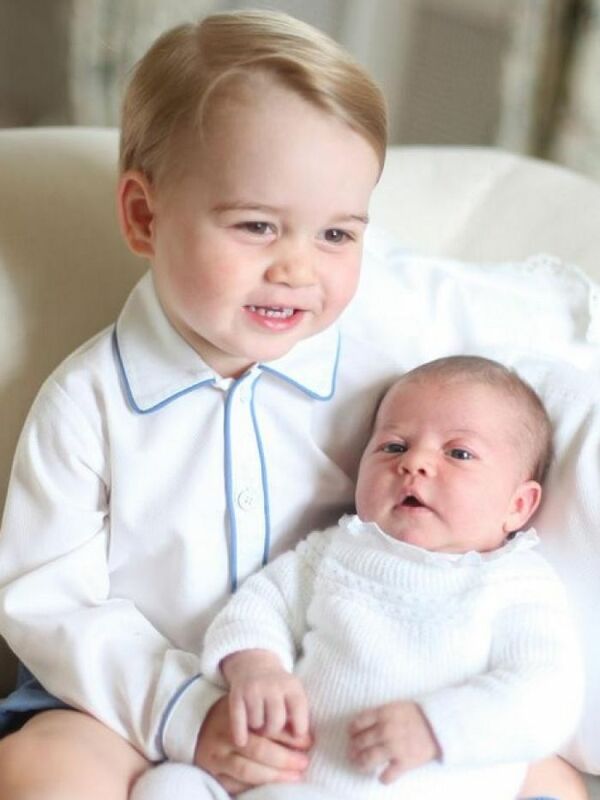 Kensington Palace has just released the first official photos of Prince George and Princess Charlotte. The photos were taken by their mother, The Duchess of Cambridge and Princess Charlotte was probably only a couple of weeks old at the time. Don't toddlers constantly surprise us? They can be so gentle and careful when the situation (and their mother) calls for it. Speaking of toddlers and their surprises, nap time has just ended. Best be off to have a look see. I consider myself a conscientious shrugger re the royals, however I thought those pics were as cute as all get-out. I'm not a big royal baby watcher - but those photos are so cute! :) It's so tricky getting a good photo of a baby too, they aren't the easiest photo subjects. Thank goodness for digital cameras, just point, shoot, take 100 photos and keep the best one!